We love this color gingham! 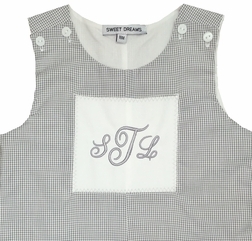 The John John is made with grey check gingham and fastens at the shoulders with white buttons. 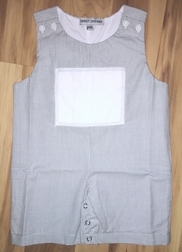 The front of the John John is adorned with a white fabric patch sewn with grey zig zag stitches. A grey monogram looks so cute!